To kick off the 19th Annual Woodstock Film Festival, there will be a live performance by the Karl Berger Band following the North American Premiere screening of the feature documentary KARL BERGER - MUSIC MIND, which offers "an inside look into the creative process and unique approach toward music that makes Karl Berger, one of the pioneers of improvisational jazz". This kickoff event will be held on the evening of October 10th at the Woodstock Playhouse. Following the screening of STAY HUMAN, directed by Michael Franti, which juxtaposes his worldwide musical travels and work with the growth of his personal life, Franti will offer an acoustic performance selection of some of his favorite songs. This performance will be held on the afternoon of October 12th at the Woodstock Playhouse. Michael Franti is a globally recognized musician, humanitarian, and activist filmmaker revered for his high-energy live shows, inspiring music, devotion to health and wellness, and worldwide philanthropic efforts. Franti believes first and foremost in using music as a vehicle for positive change - his 9th album "Soulrocker", and its potent hybrid blend of hip-hop, rock, folk, reggae and electronic music, once again demonstrates Franti's singular ability to create music that's both through-provoking and triumphantly hopeful. In the wake of the 2012 Sandy Hook Elementary School massacre that took the lives of twenty first-graders and their teachers, local clergyman Father Bob Weiss receives a letter from a fellow priest in Dunblane, Scotland, whose community suffered an eerily similar fate in 1996. From across the Atlantic, the two priests forge a poignant bond through the shared experience of trauma and healing. Following the screening, there will be a panel discussion featuring the filmmakers, as well as additional panelists from Newtown and more to be announced. Never before seen film clips of the filmmakers' upcoming documentary about the mass shooting in Stoneman Douglas High School in Parkland, Florida will be shown during the panel. The event will take place Saturday afternoon October 13th at the Woodstock Playhouse. The Woodstock Film Festival (October 10th-14th) and WacBiz are pleased to announce a special co-presentation of the documentary Finding Oscar on September 8, 2018 at 6:00 pm held at the Rosendale Theater Collective. The screening will be immediately followed by a panel featuring producer and attorney Scott Greathead, the film’s subject Óscar Ramirez Castañeda, and forensic anthropologist Fredy Peccerelli. Julie Taymor's globally renowned ACROSS THE UNIVERSE will have a special tribute screening on the morning of October 14th, and Matthew Heineman's feature narrative debut A PRIVATE WAR starring Rosamund Pike, Jamie Dornan and Stanley Tucci will close the film festival on the evening of Sunday, October 14th. Both films will be followed by Q&A's. Tickets for Across the Universe and A Private War are now available for purchase. Across the Universe © 2007 Revolution Studios Distribution Company, LLC. All Rights Reserved. As the heat begins to leave us and the cool, crisp air of autumn rolls in, we selected some outdoor activities to highlight in our region. From peaceful strolls to hikes with unparalleled views, the Hudson Valley has something to offer for everyone. Minnewaska State Park Preserve is located between Gardiner and Kerhonkson in Ulster County. 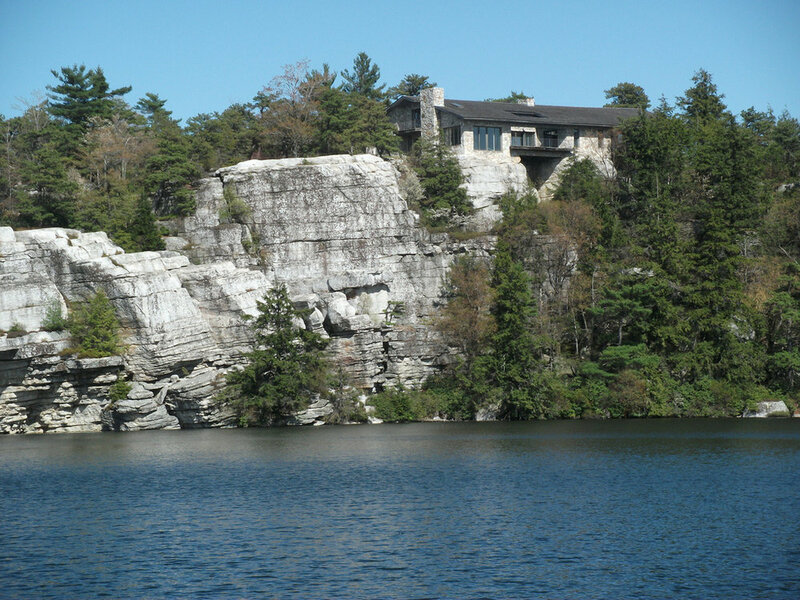 Situated on the dramatic Shawangunk Mountain ridge, which rises more than 2,000 feet above sea level, Minnewaska State Park is surrounded by rugged, rocky terrain. The park features incising sheer cliffs, ledges opening to beautiful views, and clear streams cut into valleys. This park is home to waterfalls, crystalline sky lakes, overlooks with breathtaking views, and 50 miles of trails to hike. Visitors can enjoy hiking, biking, swimming, picnicking, scuba-diving, rock-climbing, bouldering, and boating! The Rail Trail is home to 22 miles of peaceful linear hiking along the Wallkill River. Passing through Gardiner, New Paltz, Rosendale and Kingston, the rail trail contains many interesting and beautiful features. Moments from the film "A Quiet Place" featuring John Krasinski and Emily Blunt were filmed on a bridge crossing the Wallkill River on the trail last year. From trailside restaurants to a historic trestle bridge, the Wallkill Valley Rail Trail is also a hot spot for special events open to the public each year, so check their website to stay updated! Home to the second-highest peak in the Catskill Mountains, Hunter Mountain provides incomparable views of the adjacent Hudson Valley, Massachusetts and Connecticut. This challenging eight mile hike leads you to a historic fire tower posted at the lofty elevation of 4,046', the highest fire tower still standing in New York and the second-highest in the entire northeastern United States. After a strenuous hike, check out nearby Tannersville NY, home to a plethora of restaurants, shops, and the Hunter Mountain Ski Resort. We want to thank all of the filmmakers who submitted their films this year. It was incredibly difficult to choose a select few for this year's festival, so many of the entries were strong and moving. Out of thousands of entries we can only accept roughly 7%. All of us at the Woodstock Film Festival wish all of you who submitted your work much success in your cinematic careers and beyond. We look forward to staying in touch and seeing your next project. 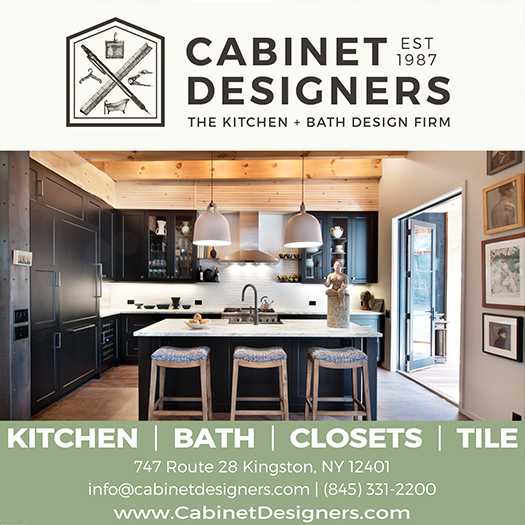 We would like to also extend a thank you to advertisers who support our monthly newsletters including Berkshire Hathaway HomeServices - Deborah Medenbach, Cabinet Designers, Coldwell Banker Village Green Realty, Laurel Ridge, Sunflower Cafe, Ulster Savings Bank, and The Villa at Saugerties.